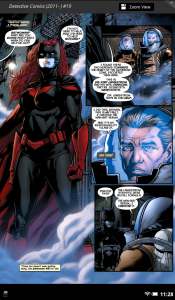 Detective Comics #19 Spoiler: Could Batwoman Have a Change of Direction? 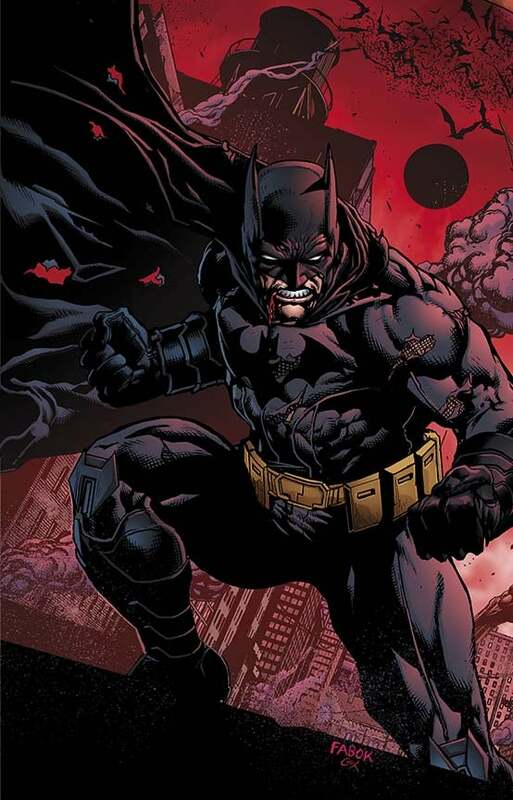 Batman calls in the cavalry to help him out with an army of Man-Bats in today's Detective Comics #19, which would have been #900 if DC Comics hadn't relaunched the title with the New 52. But nobody much is answering his calls, as they're feeling a bit betrayed by the events of Death of the Family. (We're just going to ignore last month's "family is everything" grief-fest following the death of Robin, and also the fact that all of those characters are showing up in Batman & Robin over the next few issues). But in the place of the characters who don't show up, Batman gets an unexpected hand from Batwoman, fresh off their conflict in the most recent issue of her own series. And while they address that issue, and the fact that Batwoman is not really part of the Bat-family in the New 52, it certainly raises an interesting question: could Batwoman be headed for a change in direction? Consider that J.H. Williams III, who has been involved with the character since her creation and is arguably the major creative force behind her ongoing title, is expected to leave soon to begin work on The Sandman with Neil Gaiman; without Williams, it's unclear who might take over the title, which has been critically-acclaimed but isn't in the same sales league as the Batman-related titles. It also, frankly, has felt a bit out of place in the New 52, owing primarily to the fact that the title was conceived, plotted and even began before the relaunch. We know this partially because Azrael was drawn into, and then out of, the series' debut issue.